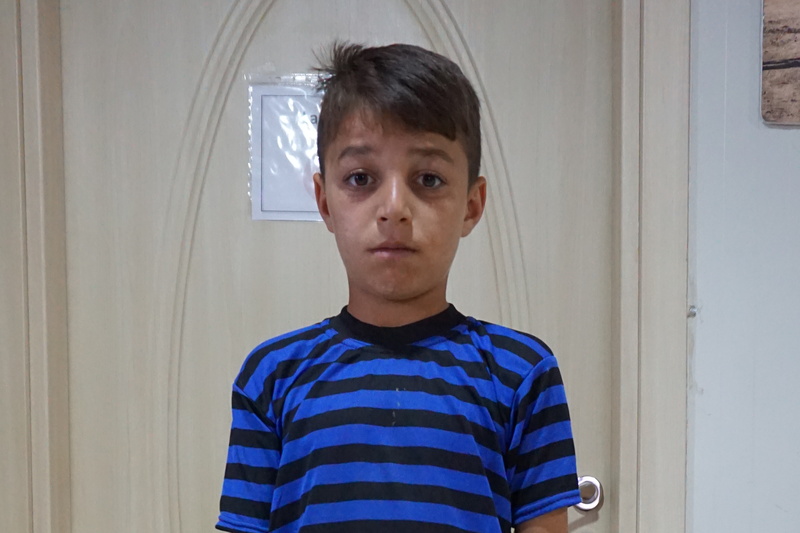 Dlshad is a 10-year-old Yazidi boy from Sinjar region. Before ISIS occupied his village, he lived a peaceful life with his family and grandparents. In August 2014, he was forced to leave everything behind and flee to Sinjar mountain. From there he walked for hours to reach the safety of Iraqi Kurdistan. Dlshad and his family were searching for a shelter, which they first found in a school full of other IDP families, then in a tent, and finally they were given a caravan in IDP camp where they have remained ever since. For the majority of his childhood, Dlshad has suffered from a speech disorder which has stopped him from speaking properly. His problem was neglected for a few years because of his families displacement. Nowadays, he is visiting the school in his camp, where he is mainly writing, but rarely speaking because of his disability. 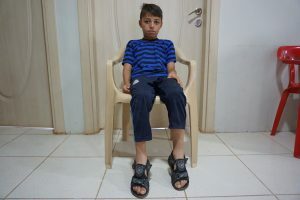 Dlshad was examined in Dohuk centre for children with autistic spectrum disorders and was diagnosed with delayed speech development which requires regular speech therapy sessions. Unfortunately, the centre is one hour from his IDP camp, to manage regular transport and pay for the sessions was almost impossible for Dlshad’s family. In fact, his father is only occasionally employed to do odd jobs that may only accumulate to one week of work a month. Thanks to a donation from the French Association for the Aid of Youths with Disabilities and People with Handicaps (Association pour l’Aide aux Jeunes Infirmes et aux Personnes handicapées), we were able to pay for 3 months speech therapy sessions which have resulted in progressive improvement of Dlshad’s speech. If possible we are planning on prolonging the support and help Dlashad to make definitive improvements.